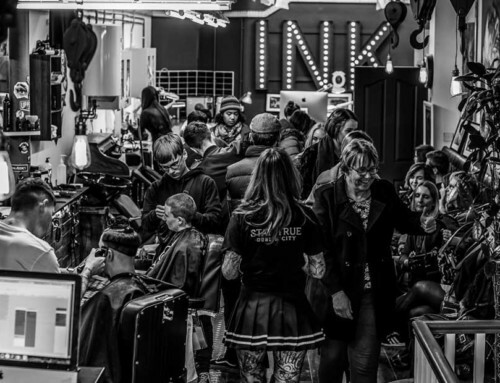 As the buzzing sound of needles settled down and the day of activity drew towards its close, the weary artists emerging from the tattooing booths mixed in with the assembled cosy crowd awaiting the final part of the day of events. 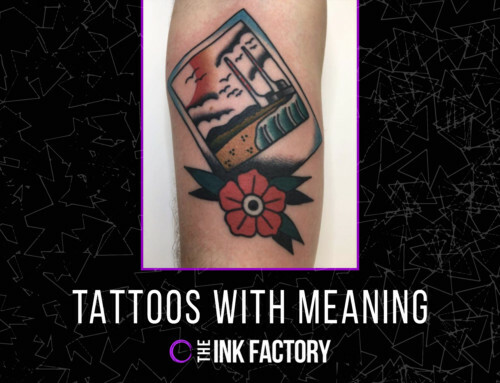 “My first one,” a woman pointed out her freshly-inked self love-themed tattoo, “what’ll my kids think!” She seemed giddily surprised by this venturing into new territory. 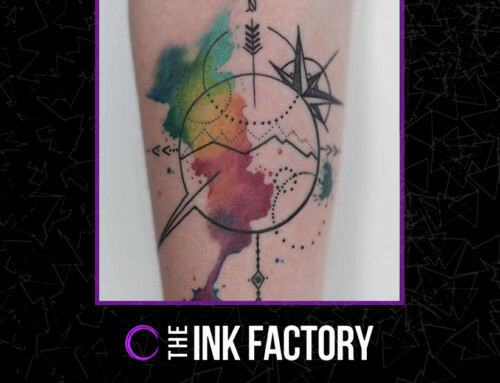 Among the comforting sense of growing familiarity – it being the third year of The Ink Factory’s Pieta House Drive; another huge sum raised, another gigantic effort from the whole team – there was a buzzing sense of novelty in what was lined up next. Our debut panel discussion was blessed with four fantastic and insightful speakers: Dublin GAA footballer, sports psychologist and mental health spokesperson, Kevin McManamon; sea swimming enthusiast, owner of Ernesto’s Coffee Rathmines, and all round lucid guy, Jonathan Smith; psychotherapist and founder of the Alethea Holistic & Healing Centre Dublin, Norah Finn; and Ink Factory co-head honcho and key architect of the Pieta fundraising events, Robbie Connolly. Keeping the conversation moving was our chirpy MC and mangler of metaphors, Evan Musgrave. While self-love, robust self-esteem and the ability to inspire others to love themselves is what the entire event aimed to promote, the conversation began with important consideration of ‘the other side of the moon’ – self-hate and self-criticism that can dominate our mind. Kevin spoke inspiringly about confronting and making sense of his ‘inner critic’ voice, which had grown into a sense of having an impostor syndrome when competing on the biggest sporting stage in the land. He endorsed the idea of a gratitude diary, which he keeps, whereby he makes note of the good things he’s done rather than feeding the sense that constant self-criticism is the way to honing life and career skills. Norah followed that up with a vital point, noting that it comes down to “breaking through, rather than breaking down;” that self-belief is built on incremental steps and reaffirming the worth we have. Similar to message behind Kevin’s gratitude diary, Norah convincingly asserted that so many of us are on a quest to add things to our life, to build up more and more positive elements to our sense of self, whereas really maybe we should be working on flushing out what makes us (re)interpret ourselves in a negative way: “there are people living in our head rent free, and I think it’s time to evict them” she emphatically stated to a chorus of applause. And after we’ve started getting a handle on this inner critic, how do we build and keep the confidence going? Is ‘confidence’ always the best term to use when talking about self-esteem? Robbie jumped right in with an insightful point, that confidence can sometimes be bound up with unnecessary expectations when it comes to achievement, verging into a huge burden of pressure that can have the opposite effect of building us up. Responding to a further question on whether it can be worthwhile taking a ‘fake it til you make it’ approach to building up self-belief, Robbie swiftly took up the baton again: “it can, but it’s not about setting yourself these gigantic goals – people don’t become top soccer player in the space of a few months, it’s about incremental steps”. The other panellists agreed and shed light on how faking it til you make it is actually an everyday activity – we have days where we’re not feeling the best but we’ve stuff we need to get through, we’re finding a way of ‘breaking through’, to return to Norah’s earlier phrase, when things are difficult, as opposed to breaking down and sacrificing the momentum of our growing self-belief. 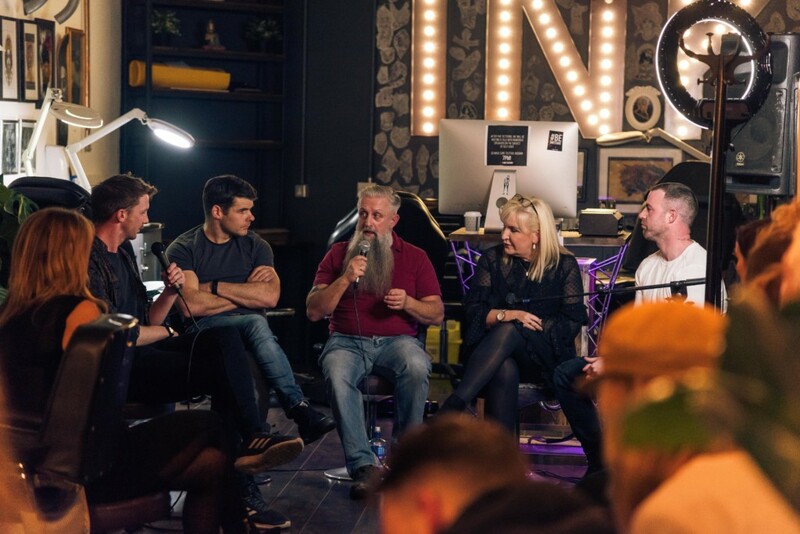 As the talk flowed and found its way merrily towards its conclusion, one of the last big talking points concerned our society as a whole’s approach to self-love and mental health. Mental health workshops in all levels of schooling, ensuring GPs are up-to-date and trained to properly respond to a patient’s mental health difficulties, and the complications of a related trend of treating mental illness primarily with prescription drugs were all put forward. Many stirring anecdotes were shared throughout the course of the discussion, but Jonathan’s description of being alerted to a young man who’d attempted suicide and a chain of communication involving him asking Kevin to produce a video of support for the young man, and then to words of advice gathered from himself and others, to invitations to join them swimming, over the course of a few weeks changed the young man’s life. The family remarked that he was like a totally changed person; having evicted the dark creature squatting in his head. The moving, concrete example of people acting in a co-dependent manner really brought home how people are out there saving lives with seemingly simple actions every day. It also showed how self love, and being on top of, taking responsibility, for your own mental health, is essential for moments of collective responsibility for human welfare like the example shared by Jonathan. The narrative around mental health in Ireland is changing, and fast, but it’s a big battle and one that we all have a stake in. It’s changing because of people looking out for other people, and this is probably the only way better collective mental health will be propelled forward. From podcasts, charities, community support groups, creative events, businesses chipping in time, energy and money for fundraising efforts, to people just out there every day dealing with others in an open and helpful manner, there is a beautiful effort going on to tackle the complex issue of suicide in Ireland today. Off into the night, happily drained from the busy day, panellists and attendees departed with grins on their faces and a sense of anticipation… for the next panel event! Watch this space.